The UK games market in 2017 was worth £5.11 billion, (€5.7bn) up 12.4 per cent year-on-year with gains almost across the board, according to figures from UK trade body Ukie. The launch of the Nintendo Switch was the main cause for hardware figures booming by a huge 29.9 per cent, and the rise in VR gaming also played a part in boosting the market. Game software accounted for the majority of sales, with online and digital games the most popular. Non-digital boxed games also saw a surprise small rise in sales, driven by the popularity of titles such as FIFA 18, Call of Duty and Grand Theft Auto. 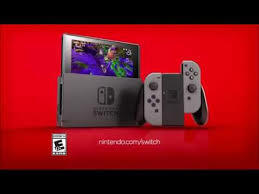 Dr Jo Twist, chief executive of Ukie, added: “New hardware such as the Switch have driven retail sales, virtual reality hardware looks healthy and digital games across all platforms continue to grow,” she added.